Today was our team’s first full day here at Tahanan! We started the morning in prayer together and Shaun gave an exhortation from Romans 12:1-2. In verse 2, Paul says, “do not be conformed to this world, but be transformed by the renewing of your minds, so that you may discern what is the will of God—what is good and acceptable and perfect.” While we do have a schedule for each day and what we hope to accomplish, we also know the LORD needs more from us than just being productive—he needs us to be sensitive to the needs of others and discerning to his leading. We had a full, spirit-filled, productive day where we felt the LORD moving among us and we are thankful for all he is doing here. This morning, Shaun, Tim, and Clark worked together to construct a compost bin that will be used to produce rich soil for our garden efforts here at Tahanan. They were also able to use the new set of tools that we brought with us to be utilized for projects at the community center. Later, Tim did some electrical work around the property and Shaun went to a nursery to determine what plants can be used for landscaping. 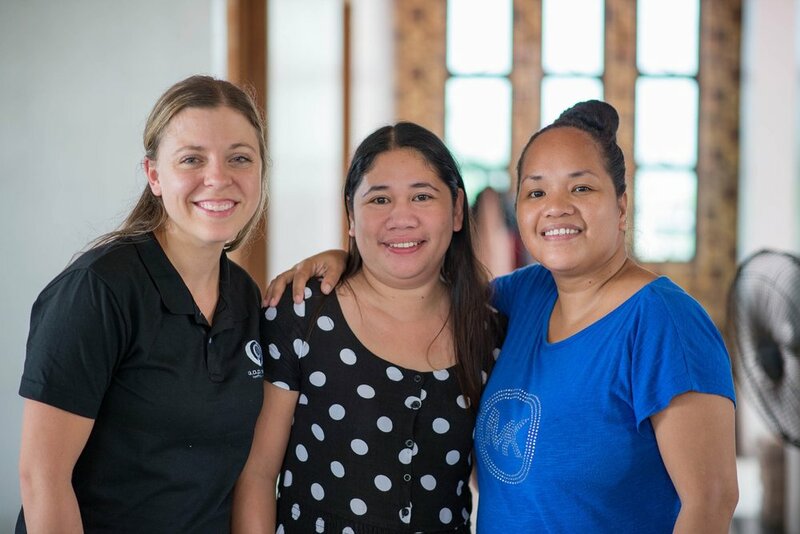 Rina took Kristin and Austin to the Cumpio Midwifery clinic to see its operations and meet Ate Nerissa, the midwife there. We observed how she runs her clinic, performs prenatals, and asked her questions about her model of care and the most common challenges she faces. She also shared many stories about surviving Typhoon Yolanda and what life was like immediately afterwards. Though the typhoon happened three years ago, the effects of it are everywhere—not just in the many buildings that still sit devastated, but also in the hearts of the people. For us, this afternoon with Nerissa was both sobering and meaningful. It gave us a small glimpse into the trauma that people have suffered and broadens our awareness of how to be sensitive to the people we serve who are still burdened by the effects of the typhoon in their daily lives.